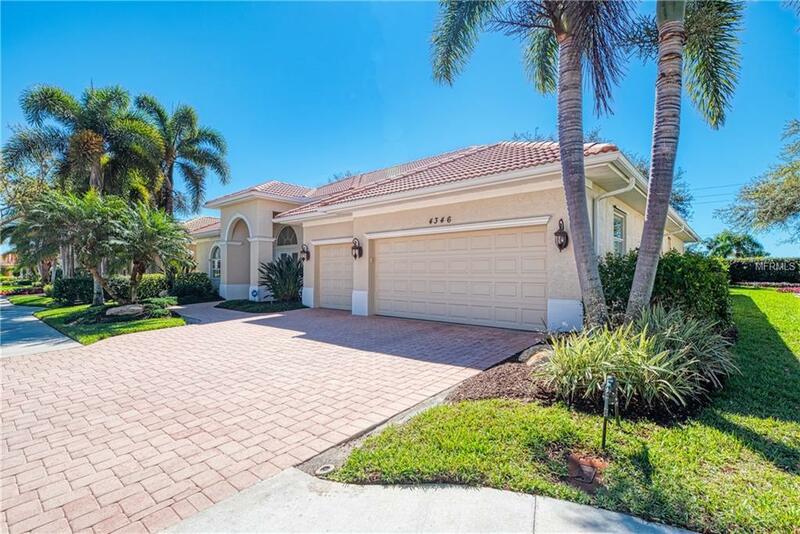 A HOME THAT WOWS Customized 3 bed, 2 bath, 3-car garage ~ J & J ~ "ARUBA IV home ~ feels like a Mediterranean resort! Built in 2005, this BEAUTIFUL home boasts a SPACIOUS OPEN FLOOR PLAN with numerous deluxe upgrades ($100K) and all the right spaces for entertaining, HIGH ceilings, NEW TRANE AC, NEW pool enclosure screen, custom kitchen, PGT low emissivity LO-E tinted windows throughout, and clear Lexan panels and Kevlar screens for full home hurricane protection. 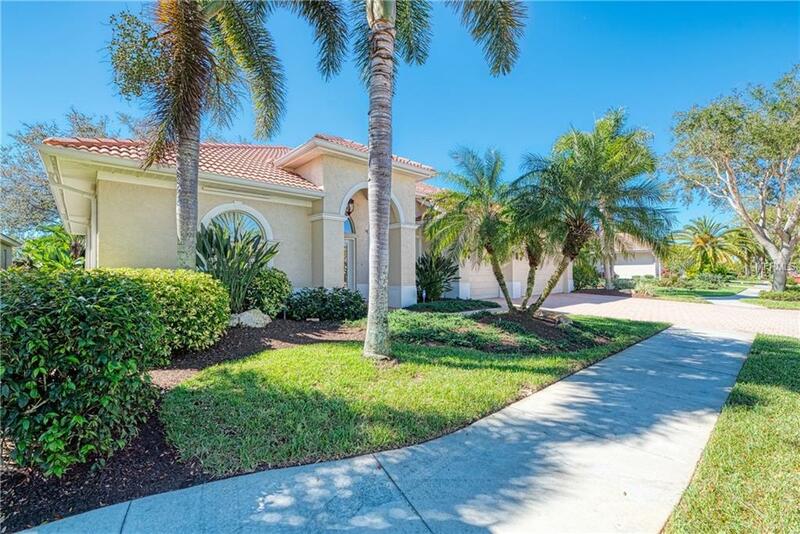 Large sliders lead from the living room, the family room and the Master bedroom to a walled Spanish styled patio which surrounds the solar heated salt-water pool with fountain, waterfall and planter. Professionally designed and maintained landscaping around the property. And MANY more extras. See attachment for details; some furniture negotiable. 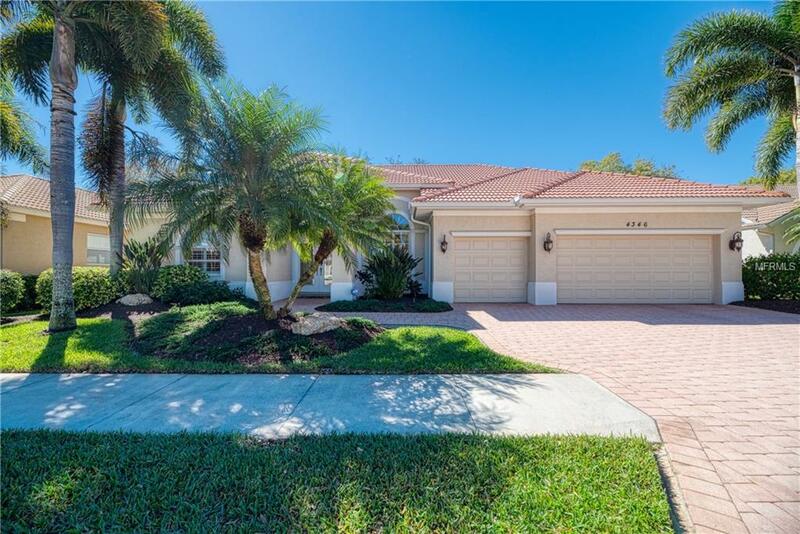 This FABULOUS property is located in VENETIA, one of the most desirable gated communities in the area with low HOA fees and NO CDD fees. You will also love the community amenities which include a Clubhouse, a large heated resort style swimming pool with spa, an exercise room and basketball/tennis/pickleball courts. Near shopping, restaurants, services, Venice Island and spectacular Gulf Beaches, dont wait to make THIS one YOUR HOME in Venice! Additional Lease Restrictions See Venetia Docs. Pet Restrictions See Venetia Hoa Docs.